In honor of Arts Month, the Cultural Office of the Pikes Peak region teamed up with the Pikes Peak Outdoor Recreation Alliance to craft an inspiring message to both locals and tourists through the Pikes Peak Litter Letter Project. This collaboration, in association with the National Litter Letter Project campaign, aims to encourage artistic ability and a love for the outdoors with an emphasis on leaving no trace of trash on trails, parks and open spaces. 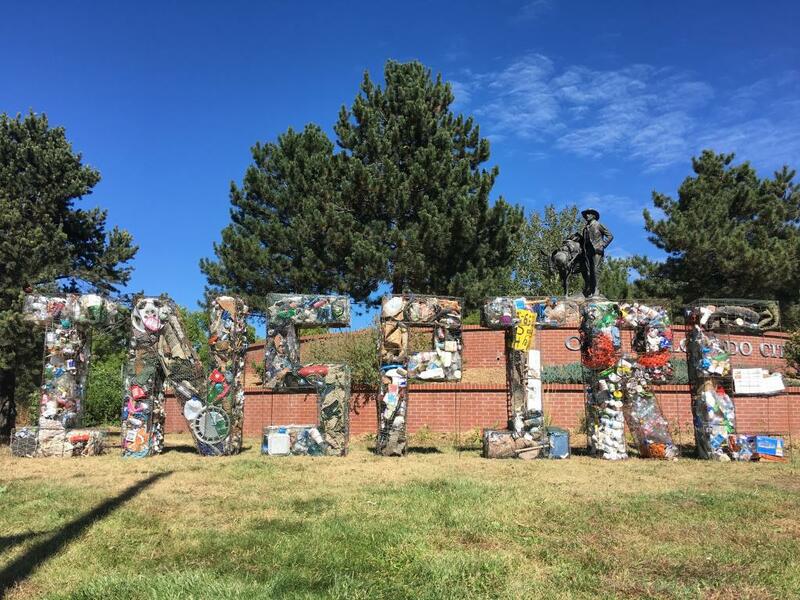 The public art piece features the word “Inspire” created out of recycled metal and filled with trash found during Colorado Springs’ annual Creek Week Cleanup will be on display throughout the month of October at the intersection of Highway 24 and 21st street.